The Five Trees In Paradise appear in the Gospel of Thomas “#19″. It is an allegory of Jesus that explains that whoever attains the 5 levels of Consciousness will overcome the duality of life & death. With all five levels of Consciousness in alignment, life is absolutely ideal. Absolute choice allows each level to operate autonomously with very interesting outcomes that can be less than ideal. Paradise is synonymous with an ideal life. Jesus adds that the five trees do not change with summer or winter and their leaves do not fall. This is to say that from an absolute perspective all five levels exist at once and for all time, simultaneously, connectedly & continuously. As a physical Human Being, I am only conscious of the perspective of my physical ego sense of Self. The Perspective of the Physical Id is to keep the human being alive. My Id is my sub-conscious mind that controls my physical body emotionally. My physical experience is emotional, based on the beliefs & convictions of my sub-consciously active programming. The Id is responsible for my survival & how well I survive. It has access only to local knowledge of my physical situation. It is programmed by my physical senses & my experience of life. As with a computer programme, garbage in equals garbage out. My Id is my voice of reason. It supplies my reasons why to act and why not to act. When I listen to reason, I am hearing my sub-conscious programmed beliefs. Limiting beliefs & fears are a bug in my data base of experiences. The capacity of my Id is relative to the purity of my programming. The Perspective of the Physical Ego is that of my conscious sense of Self. It is my perspective of who I believe my Self to be. The ego has a finite choice of seemingly infinite possibilities of who it can be. How my ego sees itself is a reflection of my sub-conscious programming. My physical id & my physical ego work together to make sense of a seemingly senseless world. My conscious sense of Self seeks for my Self to make sense. It seeks comfort & security from a seemingly insane world. The physical ego needs to see itself as sane. It does this by comparison with what all other people deem to be normal behaviour aligned with common beliefs. The fear of being abnormal disallows my perspective of a non-physical existence. The physical ego sees itself as a physical human being having a physical experience called life. The Perspective of the Spiritual Ego is the perspective of my spiritual sense of Self. It is my awareness of being a spiritual Being. It is me being Mindful. I call my spiritual sense of Self, my Soul, my Higher Self, my real Self or my True Self. My Soul knows my vision, mission & purpose for my life. It is always in full awareness of my destiny, even when the physical ego is unaware & unawakened and following my fate. Disconnected from my spiritual ego, I follow my fate or my doom, my fortune or my misfortune with varying degrees of luck or chance. The perspective of my spiritual ego is beyond the dual reality of space & time. There is no paradox, there is no problem, there is no fear and there is no conflict from the perspective of my spiritual ego. It sees only the bigger picture of Life. However, it does require the alignment of my physical ego, to achieve its goals, accomplish its skills and attain its attributes to expand & develop my spiritual success. My spiritual ego has the awareness and my physical ego has the conscious ability. Together they co-operate with conscious-awareness of all that is. The Perspective of the Spiritual Entity is Sovereign. It is a Sovereign Entity with its own part to play in the Universal Experience of Life. It sees the Big Picture of Everything as a Grand Design. It sees all three aspects of my Self as One. It is omniscient, omnipotent & omnipresent. It is the Captain of my Ship of Consciousness. It is an Individual Creative Spark of All That Is. It has a Super Vision for the Divine Plan. An Individual Aspect of God that is a Sovereign Entity. A Divine Perspective that can create whatever it can imagine. It is the combined consciousness of my ego, id & entity. It is my Supra-Conscious Self. The Perspective of the One is Oneness. Oneness is the Singularity of All That Is. It is the Divinity of the Divine One. It is the Ultimate Intention. The ultimate intention is the Divine Plan to experience Divinity through the physical & spiritual experience of its Conscious & Unconscious States of Beingness. The Divine seeks to experience its own Divinity through four distinct aspects of its Self. Its sub-conscious physical Self – the Id. Its conscious physical Self – the Ego. Its super-conscious spiritual Self – the Soul or spirit ego. When all four levels of Consciousness come into alignment they co-operate as One and become at one with the singularity of Oneness. From the perspective of Oneness, One is All & All is One and One is All That Is, all that was and all that ever will be. Amen. 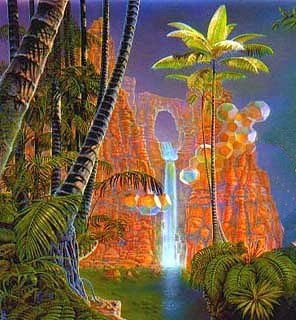 At this period of time in the history of man, there is probably more individual searching being done into the theories behind the origin of the human race,what happens after death,the possibility of life on other planets, and what our relationship is to these life forms, if they do exist. There are millions of people who are questioning the existence of God, who he really is, and what is my relationship with him? Is he someone who mysteriously floats around on a cloud watching and judging us from above like some bigger than life Santa Claus, or is he, like many of the esoteric sciences claim, a part of our inner Self, whom we have constant contact with, someone whom we and everything in the universe are connected and are thus one? Each of us in our own way is experiencing what God is, and thus we are each a part of God, thus we are God! 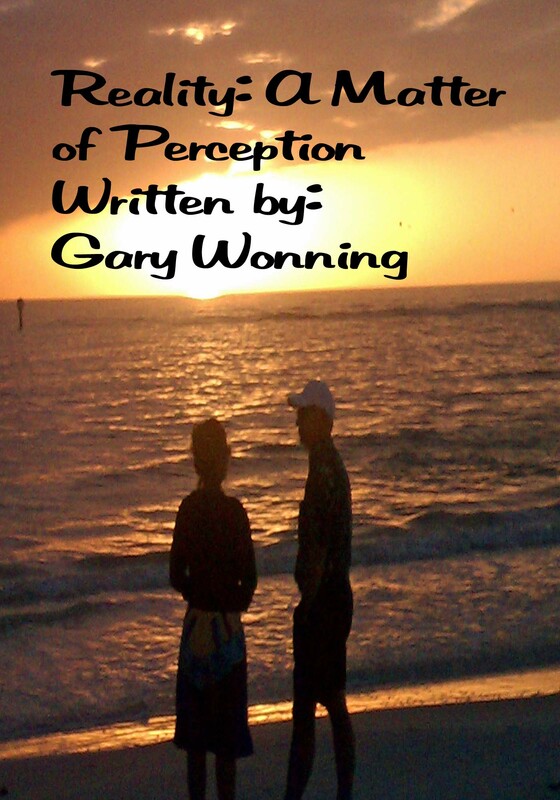 This book is a brief account of my search for my own truth as I know it today, everything stated actually happened, according to my own perception. It has been an exciting search,at times very frustrating, very rewarding, and above all, very fulfilling. My main purpose in writing this book is to show that anyone, even a bashful unfamous country boy can have these awakenings, you don’t have to be rich or well-known to find your connection to Divine Source. I began taking notes for this book over thirty years ago, at the time, writing a book was the farthest thing from my mind. My only thought was to have a journal to read over when I got older. As a result, I didn’t record some of my references, many of the references were from Aboriginal and Mayan elders themselves, many of which has been the victim of the ravages of time. Interesting and thought provoking, it could explain a lot about the world situation today. 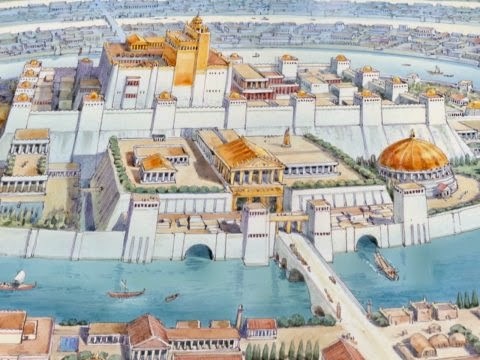 The legendary pre-Flood civilizations like Atlantis, Thule, and Hyperborea were said to have been built on highly advanced science and technology, with a possibly direct connection with what is happening now around the world.Sir Francis Bacon, a key leader in the Rosicrucians which later became known as the Illuminati, planned for America to become the “New Atlantis” and the center of the New World Order about a hundred years before America became a nation. 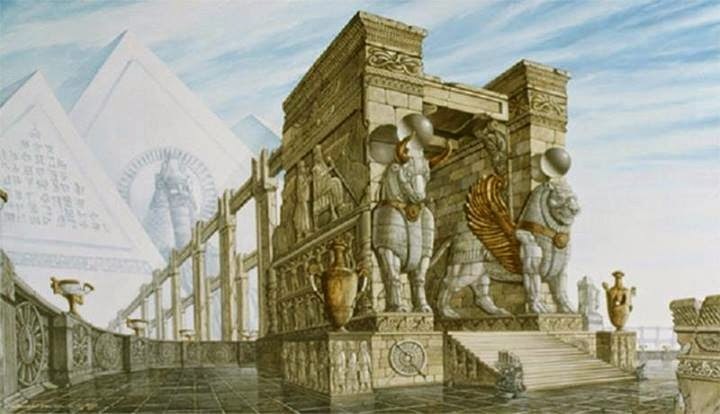 To better understand the occult connections between antediluvian civilizations, such as Atlantis or Thule, and modern times, it becomes necessary to review the accounts of those who supposedly established these civilizations. The offspring of these fallen angels procreating with human women where called the Nephilim. Much of these stories have been effectively suppressed for centuries and banned from inclusion in later versions of the Bible, but have been recently re-discovered; for example in passages fromThe Book of Enoch. In addition, traditional theories of evolution are starting to be replaced by a “new” understanding that the humanity on Earth was likely seeded by beings from other worlds. Scalar Technology is based on the theory that there is a fourth dimension where powerful energies for destruction or healing on a planetary level can be transferred into our three dimensional reality and change that reality.The Nazi concept of a Vril force is based on the idea that a race of god men came from the stars in ships powered by this force and settled on the legendary island of Thule where they founded the civilization called Hyperborea. The secret occult societies that put Hitler into power were extremely interested in Antarctica beginning in the 1930s. 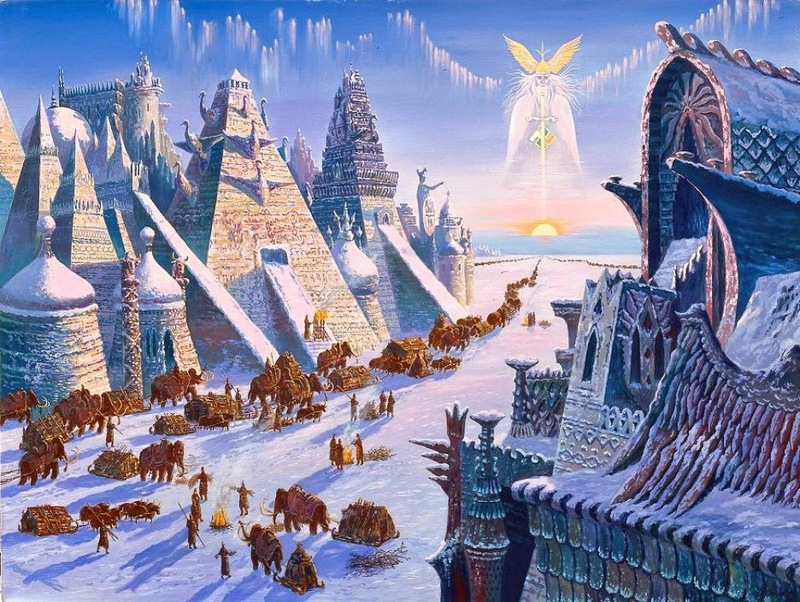 The Vril and Thule societies diligently researched the ancient Tibetan, Indian, and Greek historic texts concerning pre-history. They were conducting the type of archeology that the Indiana Jones movies were based on.Documenting the cultural, linguistic, and genetic similarities of these legends with the Nordic legends of blonde haired blue eyed “gods”, the occult societies that influenced NAZI ideology came to their conclusion that the Earth undergoes periodic global cataclysms, and that vast portions of the inner Earth is hollow and has been inhabited within for many millennia by another unknown branch of humanity. 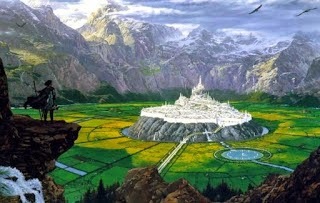 When the Flood came the Hyperboreans used the large tunnels which penetrate through the Earth’s crust to permanently settle under the Himalayas.According to some legends they named their new kingdom Agharta or Agharti and its capital city was Shamballah, which was the mythical paradise below the surface of the Earth. There are also a growing number of Biblical scholars who believe that these ‘aliens’ did not come from other planets, but other dimensions, and that they were actually the fallen angels who mated with human women who produced the Nephilim. 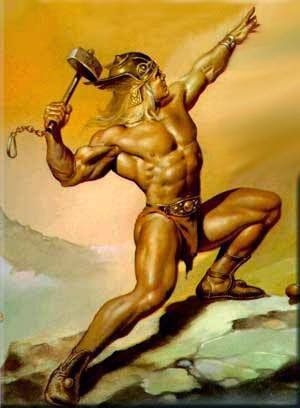 The Nazis believed that the Nordic-looking “gods” who came from the stars were a genetically distinct race from another world, had RH negative blood type, and did not “evolve” from apes in Africa. The Nazis supposedly were aided by a group of attractive females with clairvoyant powers called the Vril Maidens who could channel scientific and technological information including rocket design and even how to build UFO-type flying machines.The Vril Maidens were not only famous for their gifted psychic ability, but for wearing their hair long and never cutting it. They claimed that a planet around the Aldebaran star system was inhabited by a race of people similar to ourselves with a possible shared ancestry. The German philosopher Friedrich Nietzsche (1844-1900) wrote of the Übermensch (Superman) in his work, Der Antichrist. Nietzsche wrote “Let us see ourselves for what we are. We are Hyperboreans. We know well enough how we are living off that track.”When Nietzsche published “The Will to Power” he was speaking of the Vril force and spoke of “the herd,” meaning the ordinary people who live by laws imposed by the corrupt State. In contrast Nietzsche spoke of the supermen who tap into a supernatural divine force that raises them above the ordinary man. Reality: A Matter of Perception. 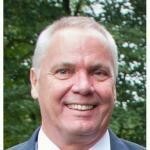 The Germans and the Extraterrestrials, Did Hitler Make Contact? There is much evidence that the Nazi Germans had contact with extraterrestrials. At that period of time, Hitler had an interest in the occult as well as the esoteric sciences. Along with that there is some evidence he may have had contact with extraterrestrials. There are many facets of the supernatural and occult sciences, some what we would determine to be good and some would be evil by our definition. Hitler and the Nazis were operating on the dark side,evidenced by the obvious fact they were eliminating all societies that represented good:the Jews,masons, and many other organizations. In his attempt to create a master race, he killed or destroyed all who could have aided him in creating a better society, many scientists, engineers and teachers were eliminated in his cleansing. Many of the smartest people in Germany were killed. That period in history was also the beginning of modern day contact with beings from other realms, including our own Roswell incident in New Mexico. His interest in the dark side and desire to destroy all that was good drew to him the same element from other dimensions. Just like on earth , there are many different cultures in the esoteric world, some good, some evil , and many have different points of view than what we would normally assume. Many are just like us and there are alternate earths where our doubles are living and breathing just as we do here on earth. They don’t all look alike and they come from a variety of galaxies scattered throughout the universe. Some are our friends, some , not so much. Some are here to help, some would like to see us destroyed so they could control our world and reap our resources. It has been eported that the Nazi’s were working with aliens, but there is never any mention of who they may have been or what their intentions were. Most people just assume the ET’s are all the same and ,have similar motives, and either mean to do us harm or help us, depending on their own individual outlook on life. With HItler’s objective in mind, and realizing that like attracts like, it would be obvious he would be communicating with those from the dark side. At that time there were many new and innovative ideas that were put forth by the Nazis. They were working on developing a nuclear bomb, anti gravity , space flight, and many other modern day inventions. The ET’s would have had knowledge of these processes and would have been a great help to anyone inquiring. As in many realms of life , there is probably no hard and fast truth, but by putting two and two together, sometimes we get four. 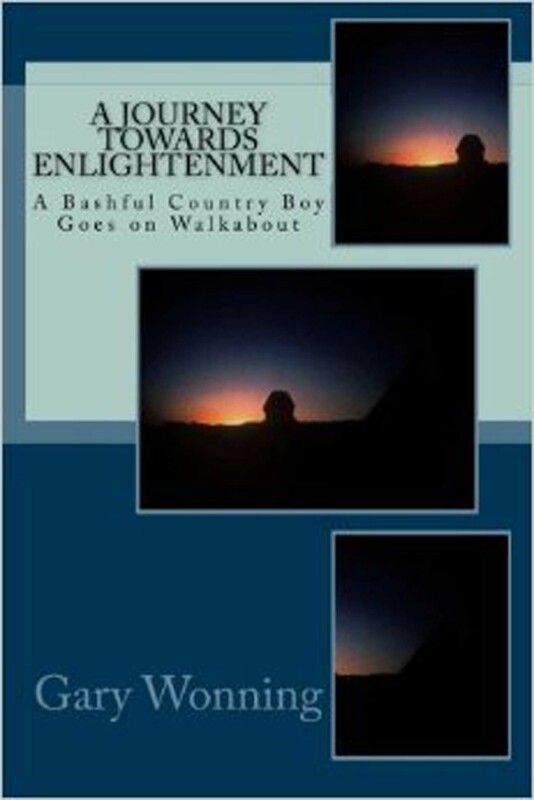 Follow the author on his lifelong Journey Towards Enlightenment! As the “Rock” came into sight, I began feeling the energy from this ancient monolith, which was formed from a featureless landscape during the Tjukurpa, or creation. As the bus approached Uluru, I began to wonder what adventure awaited me. The “Rock” became a very impressive sight, rising from the floor of the outback. It was the only object to be seen for miles! If I was to climb this monolith, it would be very difficult, my right arm was still very weak from a motorcycle accident three months earlier. The way to the top was very steep and the only way was to pull oneself up by a large chain that had been provided. I almost quit climbing twice. I had to do it, several months earlier I had felt the need to climb to the top and find a man-sized pit surrounded by three circular ones, this was one of the reasons I had come to the Land of Oz. Intuition had told me to leave my forty pounds of camera equipment in the bus, I didn’t do it, the reason became apparent, myself and some of the other photographers had extreme difficulty. Our light meters would not give a correct reading. After I had returned home and had the slides developed, they were all black! Whatever energy that emits from this shrine had played havoc with the electronics in our cameras. I encountered the same problem in Egypt, as I had to replace some of the electronics in my camera after trying to photograph the step pyramid. Arriving at the top I immediately found the pit and three circles that had been carved into the stone many ages ago. As I Lay in the pit I could only imagine what ancient ceremonies had taken place here. It was very beautiful, standing on top of this ancient landmark , with the Australian plain stretching out before me , I could see forever. After several minutes of contemplating the wonder of being in this great place, it was time to start the trip down the side of the “rock”. The trip down was a lot easier, as the old saying goes, it’s all downhill from here. By the time everyone reached the bus it was nearing sunset, so we raced to get a photo of Uluru as the sun sat behind us. As the sun raced down, the sky changes from blue to orange and back to purple, the color fading as darkness descended upon us. Time to eat!! Time for a tinnie (can of beer), our dinner of steak, shrimp, beans and potato was being prepared on the barbie! It doesn’t get any better than this!! The weather was turning cold, we were headed for a record low of twenty degrees F, it would be a long night with only my light jacket and an uninsulated swag to sleep in!! The effects of the tinnies and long necks were being felt, three o’clock in the morning and it was time for a bathroom call, freezing, I made the long trip to the latrine, being chilled to the bone, there would be no sleep the rest of the night. 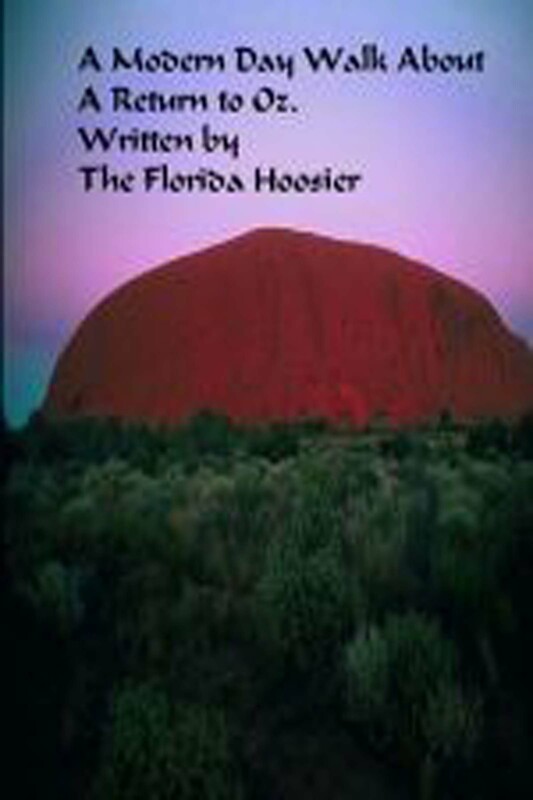 A Modern Day Walkabout, an Ebook about a walkabout in the Land of Oz.